The World's 50 Best Restaurants' chosen charity, Farm Africa, is thrilled to announce that it will be auctioning exclusive, money can't buy dinners for two at four of Europe's most highly regarded restaurants. The dinners have been donated to Farm Africa by four restaurants that appear on The World's 50 Best Restaurants list for 2013: Asador Etxebarri in the Axpe Region of Spain; Schloss Schauenstein in Furstenau, Switzerland; Piazza Duomo in Alba, Italy; and Vendome in Bergisch Gladbach in Germany. The dinners will be auctioned in stages with Asador Extebarri and Schloss Schauenstein going live on 30 January, and Piazza Dumo and Vendome following soon after on 2 February. Bidding is sure to be brisk as food lovers look to buy the perfect gift for their special one on Valentine's Day with dinner in some of Europe's most romantic dining destinations. “Central London’s new kid on the block.” Zoe Dickens, Harper’s Bazaar.co.uk ﻿ Nestled a stone’s throw away from the hustle and bustle of Oxford Street, at 16 Picton Place, the innovative Greek restaurant-come-deli concept has been embraced by diners and critics alike. 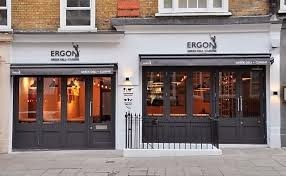 Ergon celebrates Greek gastronomy using the finest ingredients sourced from small indie producers in dishes created by executive chef Dimitris Skarmoutsos (formally of French Laundry and a judge on Greek Masterchef). After the success of the inaugural event last January, Claire Morgan & Angus McKean of The Red Lion, Barnes are hosting their second "Great Sausage Roll Off" on January 28. The contest is a simple one, an invitation to chefs from London and beyond to create the ultimate sausage roll. Once again, the competition will be expertly compered by good friend and local of The Red Lion, beer and food writer Melissa Cole. 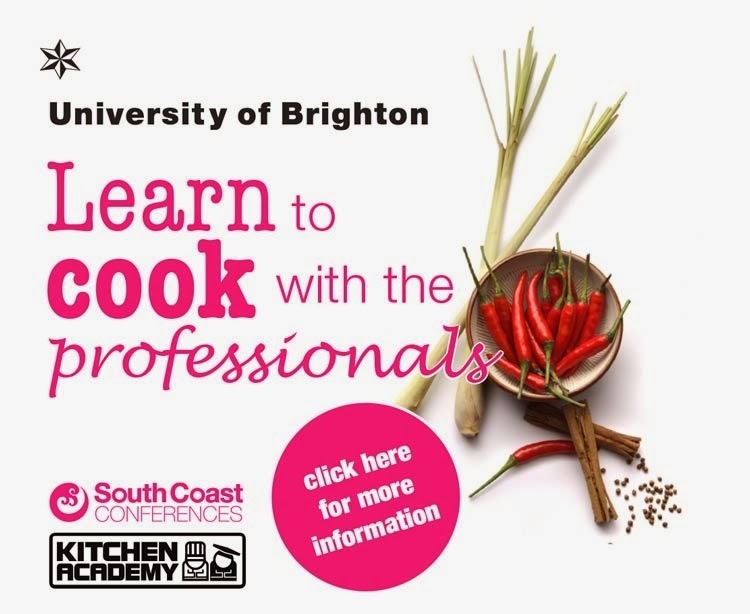 Last year's competition saw some chefs using rather ambitious flavour combinations and others using luxury ingredients such as truffles, lobster and even mackerel. The more outlandish creations were given the thumbs-down by judges Kate Spicer of The Sunday Times, MasterChef judge and writer Charles Campion and chef and restaurateur Johnny Mountain. To the shame of the English chefs competing, the trophy for this most British of delicacies was carried off by a Frenchman. Polenta, the store cupboard staple most commonly associated with the peasant cuisine of Northern Italy, takes centre stage at La Polenteria, the new restaurant just opened in Soho's Old Compton Street. 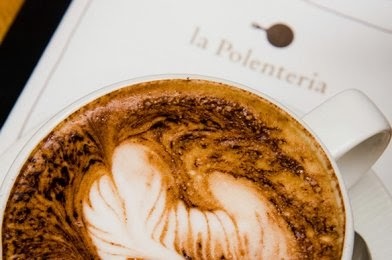 La Polenteria aims to be a modern, different venue renown for rejuvenating polenta, by giving it a cosmopolitan and modern feel. It promotes and recreates polenta as an exciting, healthy, tasty, high quality dish loved by all, presented in a contemporary style. Polenta, or cornmeal, is also popular in Eastern Europe, North America, Africa, Mexico and Brazil, where it is known by different local names. It is served as a substitute for bread, pasta, rice or potatoes, but it is a grain naturally gluten-free. It draws its flavour primarily from the foods served with it, and it is used for everything from starters to desserts. Thus the imagination and taste buds hold the key to a good polenta, as reflected in the menu at La Polenteria. Over 200 restaurants in London and South East were reviewed on video by the team at 60secondreviews in the last 12 months, and now they have named their ten best of the year. With each venue filmed the reviews have given their audiences a true taste of the dining experience. "We wanted to provide some credible voices as a start point for people eating out in London and the South East, so assembled a crack team of reviewers with vast experience so we could be unbiased and insightful in our reviews," says founder Euan MacDonald. On a bed of rice is where the magic happens thanks to Yutaka’s Sushi Kit for 2, which will make a shrimply sensational eating experience for couples, group dates or friends this Valentine’s day. A little known aphrodisiac, the sushi kit will prove that the way to the heart is often through the stomach. The kit, which includes essential ingredients such as nori seaweed, ginger, sushi rice and wasabi paste is a great introduction to Japanese cuisine. 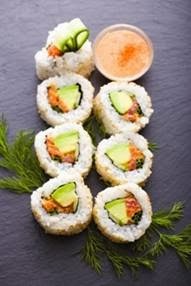 It includes instructions to make sushi in just 3 easy steps, with the opportunity to get creative with a variety of fillings – a fun way to impress loved ones. The Yutaka brand was first launched in 1995 is the leading Japanese food range in 16 countries across the globe. Yutaka takes inspiration from famously healthy, flavoursome and attractive Japanese cuisine to give the ardent foodie a unique eating experience. Yutaka’s Sushi Kit for 2 can be bought for 4.99 from Sainsbury’s supermarkets or from a variety of online stores. For the perfect place to play cupid in the Capital this Valentine’s day, head to one of London’s most atmospheric luxury hideaways for a romantic city break including an extra special five course tasting menu prepared by MasterChef finalist Adam Handling. With an intriguing and glamorous past, eclectic styling, gorgeous rooms and suites, the St Ermin’s Hotel offers a beautifully romantic space in the heart of the city to relax and unwind in style. Tucked away behind its own pretty courtyard garden by St James’s Park and just minutes from Buckingham Palace and Piccadilly, the hotel is ideally placed for stylish city sightseeing and long strolls in the park. Let the romance begin from the second you step into the sumptuous lobby, swathed with ornate white plasterwork, sweeping staircase and curved balustrades. Poppies Fish & Chips in Spitalfields, London has been voted the UK’s best Independent Fish and Chip Restaurant at The National Fish & Chip Awards, organised by Seafish. Owned by Pat Newland, Poppies Fish & Chips battered off competition from Page’s Fish and Chip Restaurant in Cwmbran, Wales as well as Quayside in Whitby, North Yorkshire to clam the award for 2014. As the only representative from London and the South, Poppies plaiced highest in terms of the quality of its catch, going one better than 2013 when it was an runner up in the same competition. 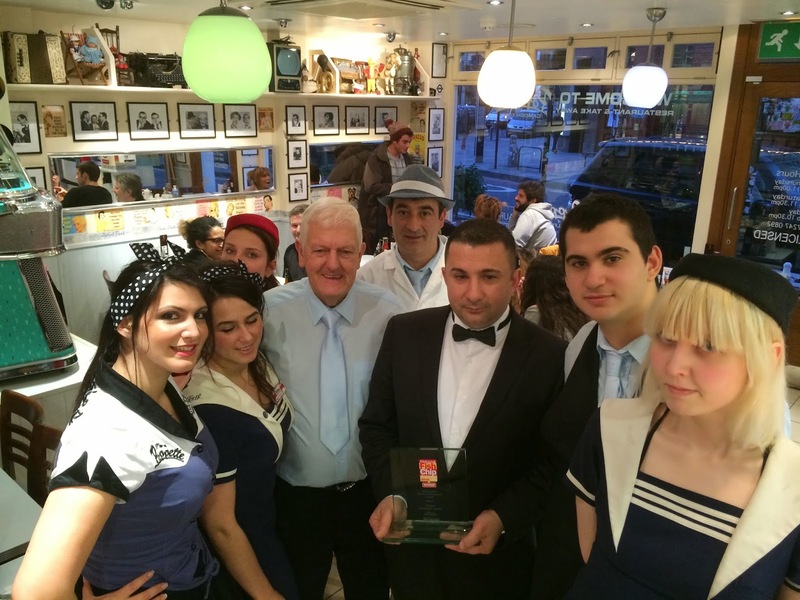 Pat Newland of Pop’s of Poppies Fish & Chips in Spitalfields said: “This is a huge honour. 50 years in the business and being recognised for all our hard work and keeping our diners happy, certainly doesn’t grow old. But I couldn’t have done it alone and would like to thank the tremendous team that I have around me, that really makes things like this happen. 17 – 23 February brings National Chip Week - a whole week of having an excuse to enjoy chips and try out different recipes. Sweet Potato Triple Cooked Chips make a delicious side and are a great way to impress friends and family with – and with sweet potatoes being full of anti-oxidants and lower in calories than regular potatoes - they’re the perfect guilt-free treat (sort of). Also Announcing Valentine’s Oysters & Bubbly Special Chicago, IL (January 22, 2014) – Since dropping its anchor in the heart of West Town last month, Bow & Stern Oyster Bar has dazzled with the its fishing and farm-to-table approach, featuring some of the most creative, if not freshest, land & sea recipes in the neighborhood. Piggy-backing on the success of his dinner menu, executive chef Brian Greene is now pleased to announce the introduction of a brunch menu (Saturday & Sundays from 10:30 am to 3:30 pm). 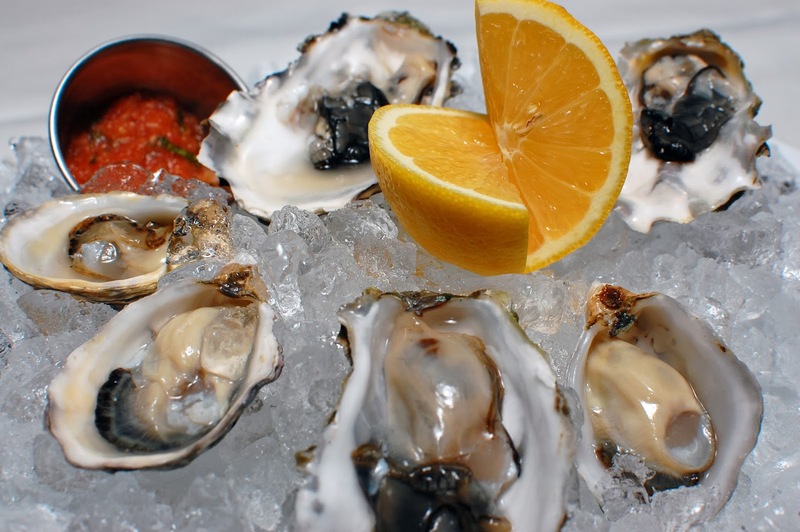 Beginning on Sunday, February 9th, Bow & Stern Oyster Bar will officially launch weekend brunch, filling a void in the Chicago Avenue corridor for the popular late morning meal. 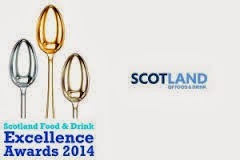 Recognising excellence across the food and drink industry in Scotland, the awards will be the biggest yet and will take place in their largest ever venue, the Edinburgh International Conference Centre. Recreate dishes from your favourite restaurants at home. First class French classics can be yours as Henry Harris celebrates some best loved recipes from his top rated restaurant, Racine. Bruno Loubet, Chef Proprietor of popular newcomer Grain Store shares dishes from his eclectic menu, grown from his extensive travels; and experimental chef and Telegraph columnist, Stevie Parle of Dock Kitchen cooks up exciting flavour combinations such as Seabass baked in seasoned coconut with squash, and fragrant Persian rice pudding. February is a great excuse to indulge in some romantic cocktails and Tequila Rose’s Love Bomb is the ideal sweet aperitif to create that seductive spark. 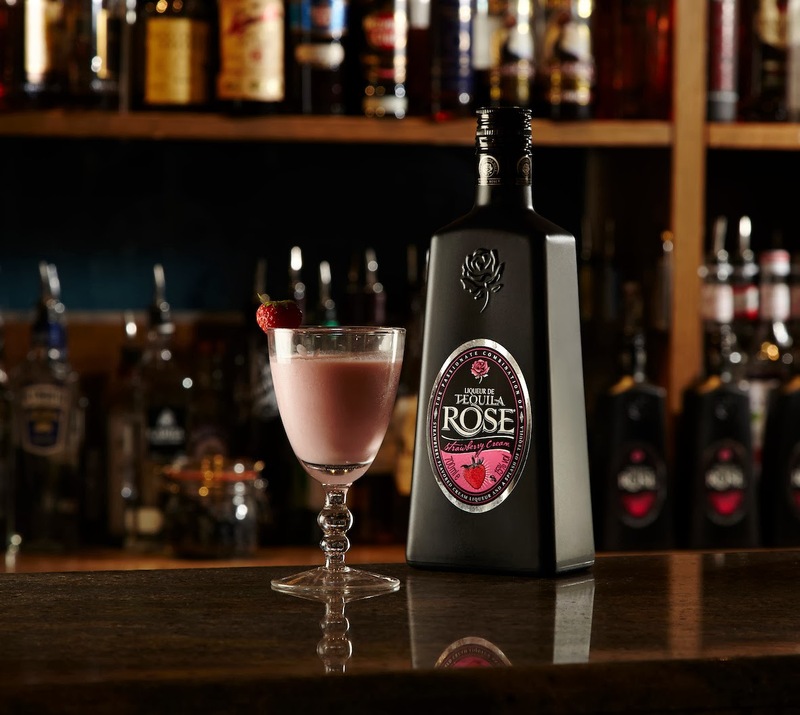 The Love Bomb is made with Tequila Rose, a luxurious natural strawberry flavoured cream liqueur with premium Mexican tequila, abv 15%. Served with fresh strawberries, the Love Bomb is a true symbol of sensuality and is sure to keep the ‘desire fire’ burning. Shake the ingredients with ice and strain into a cold glass, garnish with a fresh strawberry. Tequila Rose is priced £16.65 for 70cl from The Drink Shop. For recipe suggestions and further information please visit the Tequila Rose Facebook page. 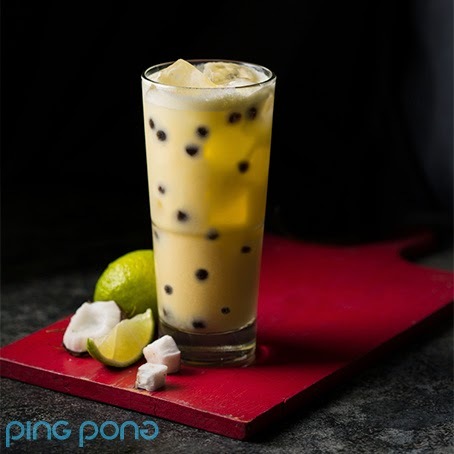 London's leading dim sum and cocktail restaurant will give away thousands of lucky red envelopes and offer a limited edition seasonal menu including Shanghainese noodles,Tapioca Pearls cocktail and Chaozhou Vegetable dumplings. The masterchef which the Sunday Times named as the UK's No: 1 chef is heading to the UAE capital in February for a starring role in the annual Gourmet Abu Dhabi culinary festival. 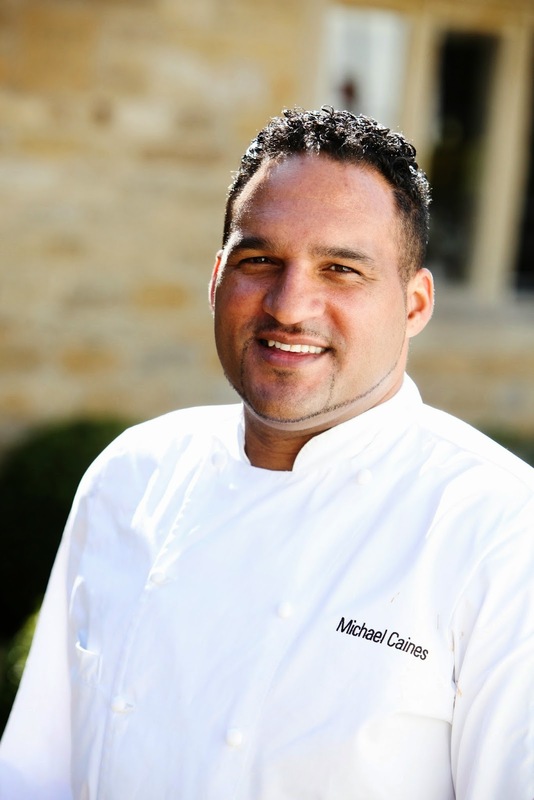 Michael Caines - who was awarded the Member of the British Empire (MBE) medal by Queen Elizabeth for his services to the hospitality industry - will be spearheading a restaurant promotion in the distinctly French ambiance of Brasserie Angelique at the five-star Jumeirah at Etihad Towers from 5-8 February. "Michael is the epitome of fine dining culinary excellence in England and trained under some of the best chefs in France. 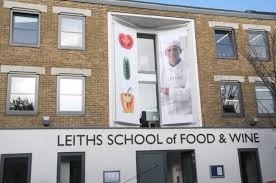 His dishes have been praised as original and brilliant by some of the world's most discerning food critics." said Doris Greif, General Manager of Jumeirah at Etihad Towers. HOW TO CHEAT ON YOUR VALENTINE! Keep on the straight and narrow! New Year, New Product Launch!